Pierre Favresse was born in Brittany in 1979 but soon moved to Paris with his family. He studied cabinet making at the prestigious French Ecole Boulle before enrolling in the Ecole Nationale Supérieure for Decorative Arts, specialising in Design. Following his studies, Pierre began to work with designer Mathieu Lehanneur and became studio director, before founding his own studio in 2010. Pierre’s creations are characterized by their simplicity and balance that marry craftsmanship and state-of-the-art technology. Through design, he plays with many of today’s everyday questions around the use of new materials and innovative functionality, while maintaining a strong focus on social and environmental concerns, be that through reduced manufacturing costs or eco-friendly methods and materials. 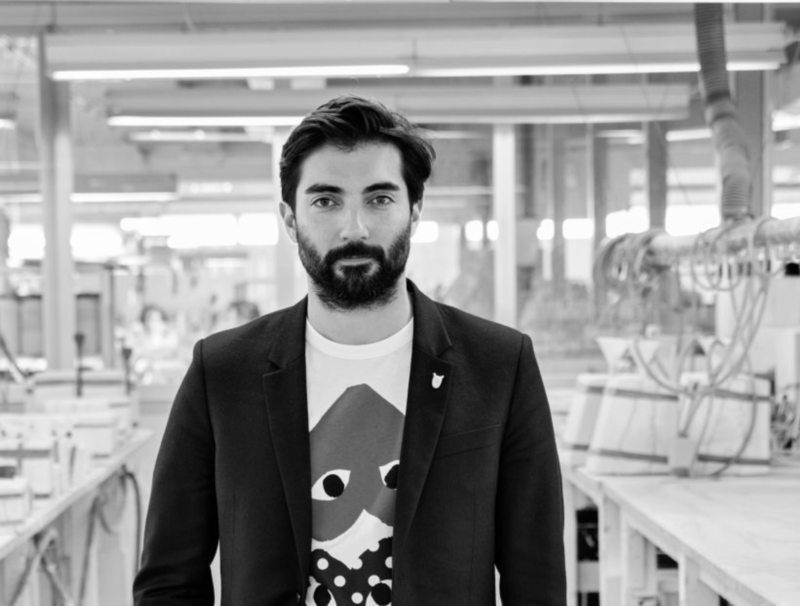 Pierre is now the Creative Director of Lladró, the famous porcelain luxury brand and was previously Head of Design and Creative Director for Habitat International. Founded in 1964 by Sir Terence Conran. Pierre’s other work can be found around the world with products developed for companies such as Cinna, Petite Friture, Specimen Edition and La Chance.